Do the Sony Flip SVF14N repair yourself with the help of our tutorial video and save! Compatibility: Sony Vaio Flip SVF14N Models such as the SVF14N13CXB, SVF14N11CXB and SVF14N25CXB. This screen is for the Flip model with a split top casing for tablet funtionality. It is not the for the SVF14A Fit models with the traditional style laptop hinge. Package: Included is 1 LCD Screen With Digitizer/Glass panel attached from the factory. However the plastic bezel that surrounds the glass is not included. We have a video tutorial on how to remove the bezel from your old screen and put it on the new one. 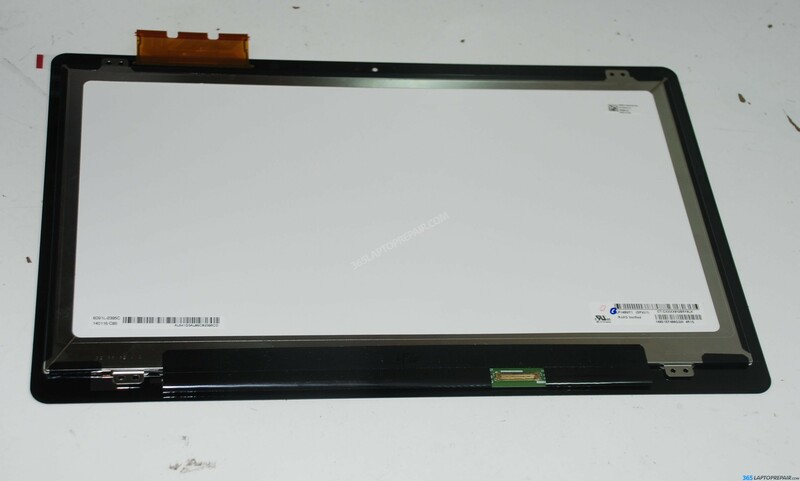 Description: This is a 100% Genuine Sony replacement part that is perfect for your Sony Vaio Flip 14 screen repair. It is tested and guaranteed to work. It is a brand new LCD screen and digitizer assembly. The plastic frame/bezel is not included. You can check out our YouTube tutorial for how to do the replacement yourself! Warranty: We offer 90 days warranty on this part. Does not include installation damage, so be careful when installng it! We also provide a Sony Flip Screen Replacement Service. 365 Laptop Repair specializes in cracked screen repairs and has performed many Vaio Flip screen replacements.